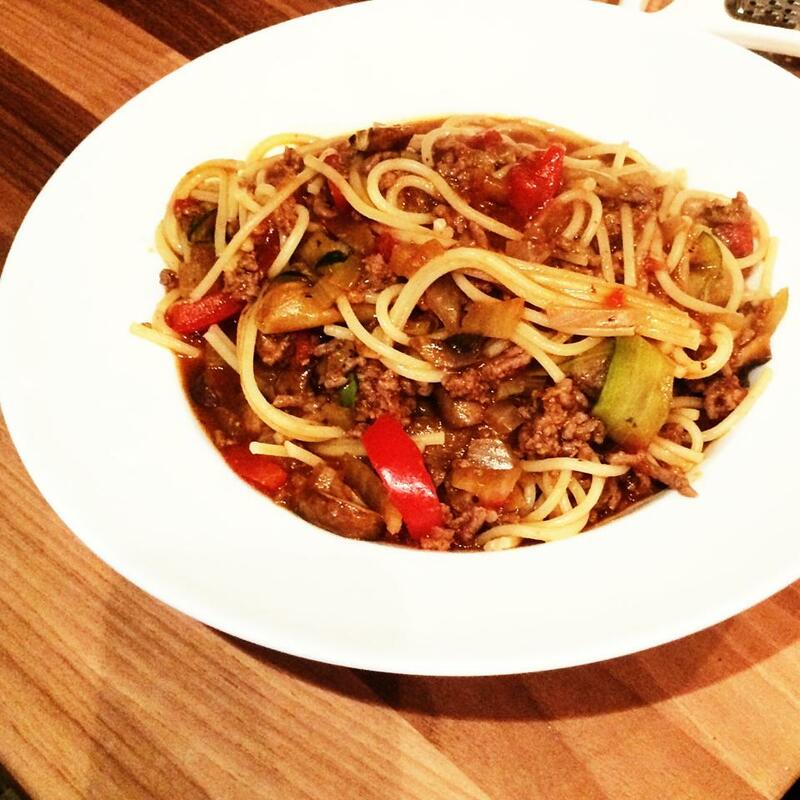 I love a nice, quick and easy spaghetti bolognese and I’ve been making this one for a good while now. It’s a recipe which, I think, is unaffected by the fact I am on a diet as I’ve never used anything too bad in there. I think it’s worth making sure you are using extra lean mince as that is such an easy way to grab a few sp back and put them towards some extra pasta or a little cheese. I use this exact recipe when I’m making lasagne too but I usually add around half a box of tomato passata (at the same time as the tomatoes) to make it slightly more saucy and rich, perfect for baking in the oven! Pop your mince in large pan and begin to brown. Make up your stock (I used 1 veg stock cube and 1 tomato tin of water) and put a little in with the mince to stop it sticking to the pan. When half browned, add the onion, carrot, celery and garlic and once they are nice and soft add the pepper, mushrooms and chilli. Then add your chopped tomatoes and most of your stock so it covers the mince. Add the rest of your ingredients and give a good stir and leave to simmer while you are cooking your spaghetti. Pop your basil leaves in two minutes before your spaghetti is cooked! I usually do 40g of Spaghetti with this for 4sp and then have 20g of half fat cheese on top at the end (an extra 2sp). It makes it a really filling and tasty meal for only 11sp in total!